To celebrate 30 years of drum innovations, Brady Drums has introduced a limited edition 30th Anniversary Snare Drum. This special instrument is handcrafted in a block shell style construction from Australian Myrtle (Nothofagus Cunninghamii), a dense eastern Australian timber species with an interlocked grain which can grow up to 55 meters (180 feet high). 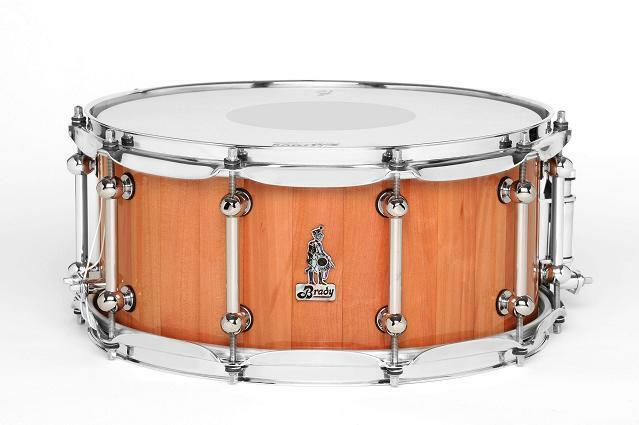 Each 30th Anniversary snare drum is offered in a 14 x 6.5 size and is adorned with a custom mother-of-pearl Brady badge. Only 30 drums are available worldwide and each shell is autographed inside by founder and master drum craftsman Chris Brady and serial-numbered with each year Brady has been making drums (i.e. "1981", "1982", "1983", etc.). 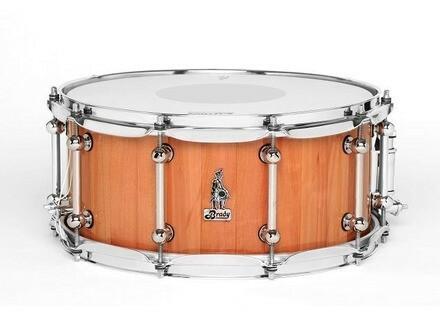 Check out www.bradydrums.com for more details on this product. Last Generator KikBriks Available Generator LLC announced the last run of KikBrik bass drum dampers. [Musikmesse] Los Cabos 8A Model Drumstick Los Cabos Drumsticks announced the latest addition to their catalog, the Los Cabos 8A available in white hickory, red hickory, and maple. EnRoute Music PorchBoard Bass According to its manufacturer, the RP PorchBoard Bass offers the same big sound as the original PorchBoard but in a smaller package.